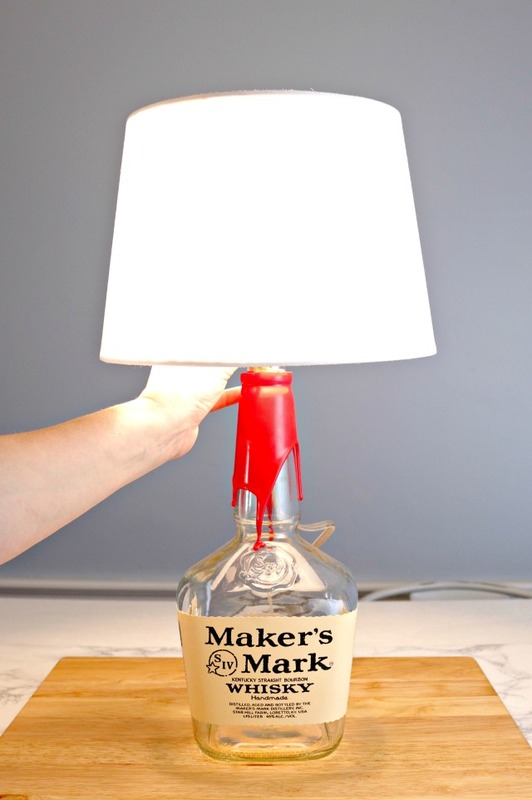 If you’ve ever wondered How to Make a Bourbon Bottle Lamp, then this post is for you! We live in Kentucky, which is also known as the bourbon capital of the world. You’d be hard pressed to find a home in KY that doesn’t have either a bottle of Maker’s Mark or Woodford Reserve at the ready for a nightcap or celebratory drink. 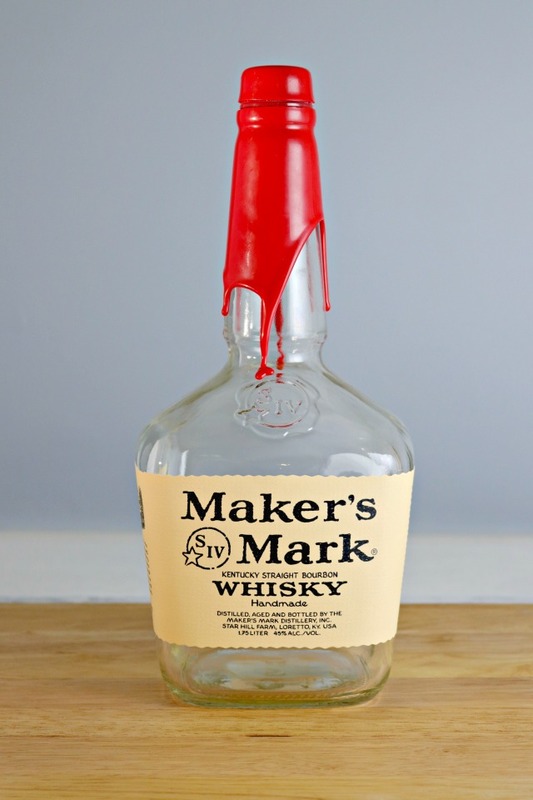 I’ve always thought it a shame to get rid of a Maker’s Mark bottle once it is empty…there’s just something about the pretty label and beautiful wax dipped lid. 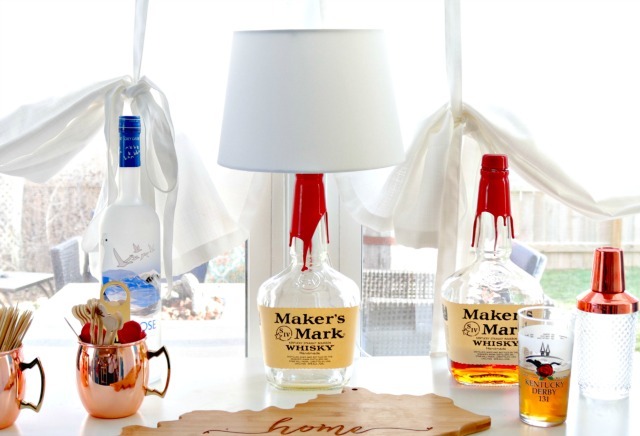 So, I decided recently that I would take an empty “Maker’s” bottle and turn it into a lamp for the bar area in our breakfast nook. 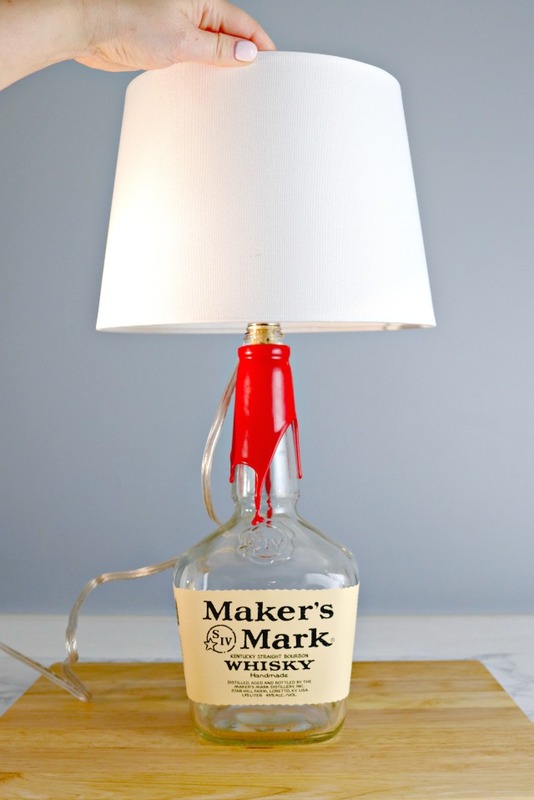 Let me show you just how easy it is to make your own lamp using any old bottle you have or like! You will need an empty bottle. 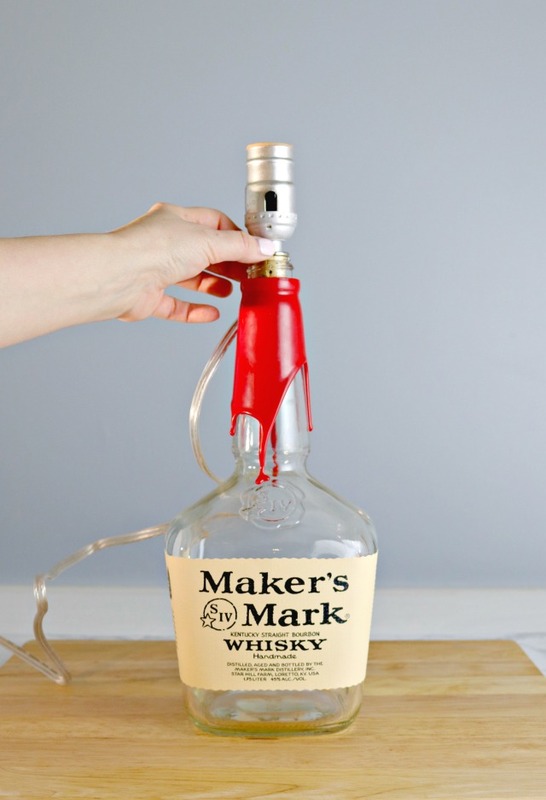 This can be an old bourbon bottle like I’m using, or a decorative bottle of any kind. Next, you will need a lamp kit. You can find them at Home Depot or Lowe’s, or you can order one online. I purchased the one pictured above HERE on Amazon.com. Simply remove the lid (if there is one) from your bottle and place the bottom part of the bottle lamp kit into the top of the bottle. Some of the kits come with a few different size options for different bottle openings. 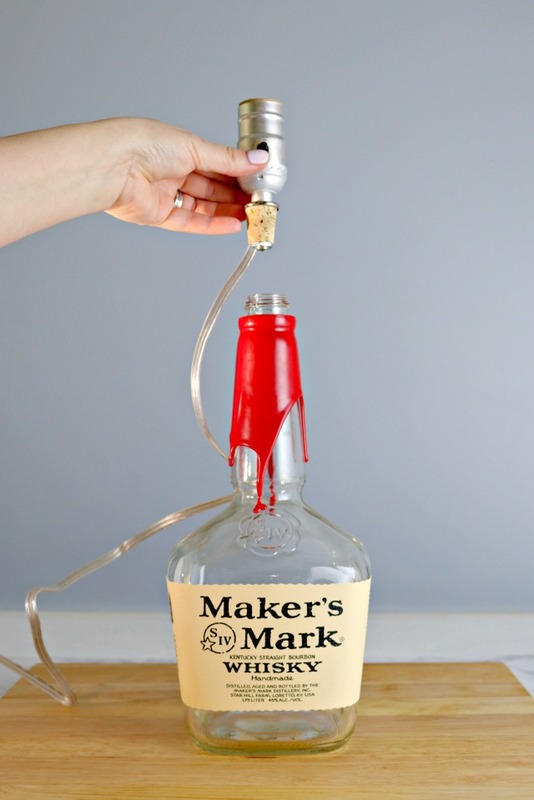 I mean, you could even turn an old coke or beer bottle into a lamp…fun, right? 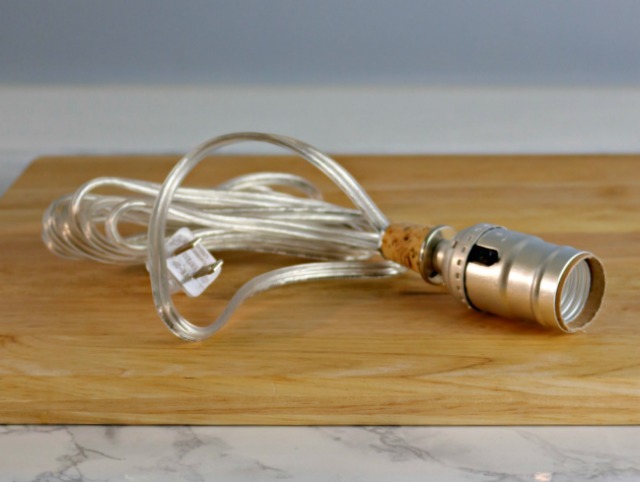 The cork or rubber stopper (depending on what light kit you are using) should fit snug into the lamp. If it is a little loose, use some super glue or e6000 Craft Adhesive to secure it. Now, place a lamp shade on your lamp, add a light bulb and you are ready rock! Isn’t that so much fun? 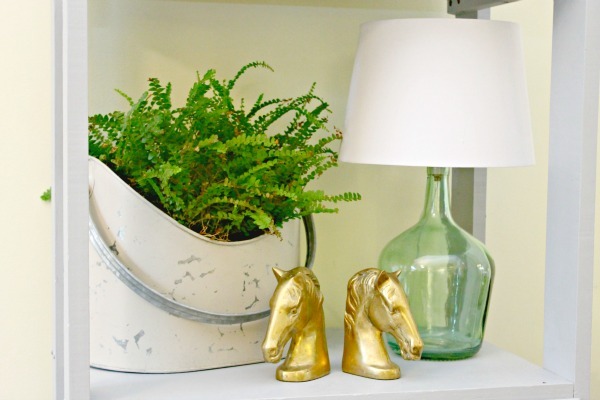 The possibilities for fun, interesting, one-of-a-kind lamps is endless! 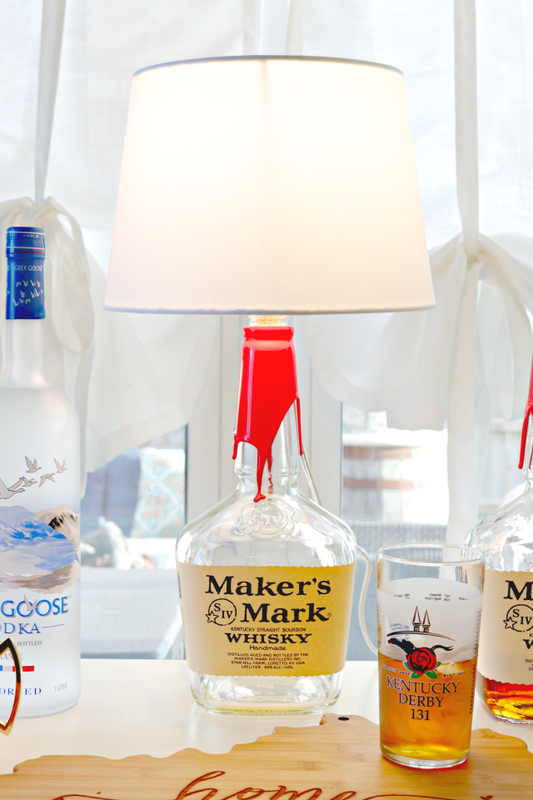 Doesn’t our Maker’s Mark lamp look super cute on our little bar? It looks so fabulous lit up at night…it just completes the space! Here is a lamp that I made using a decorative bottle that I found at Michaels a few years ago…I told ya, the possibilities are endless! Looking for more fun hacks and home tips? 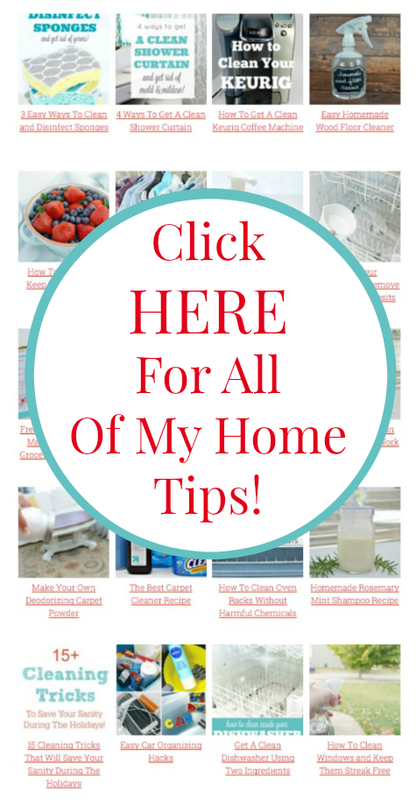 Check them all out HERE on my Home Tips Page!